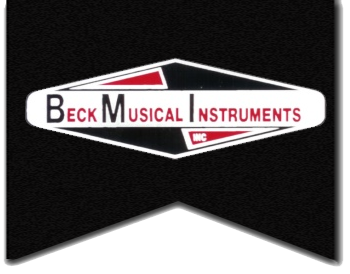 I have been playing BMI Pedal Steel Guitars since the summer of 1981. I have been playing “Blackie,” my 14 string BMI Steel Guitar since October of 1984. She has 14 strings, 9 floor and 5 knee pedals. This Steel has 33 pulls on it! I use my tuning it is an E9th with an added B6th. My steel guitar has a pickup wound like Steel Guitar Hall of Famer the late Julian Tharpe. Julian was a Hero of mine and a and Friend. I play also the E9th, B6th, C6th and Universal tunings. I also play 6, 8, 10, 12 and 14 string steel guitars, including non pedal and pedal steel guitars. I started playing lap Steel Guitars 1968 and pedal steel guitars 1975. My early influences were Don Helms, Speedy West, Jerry Byrd, Herb Remington and other non pedal players. 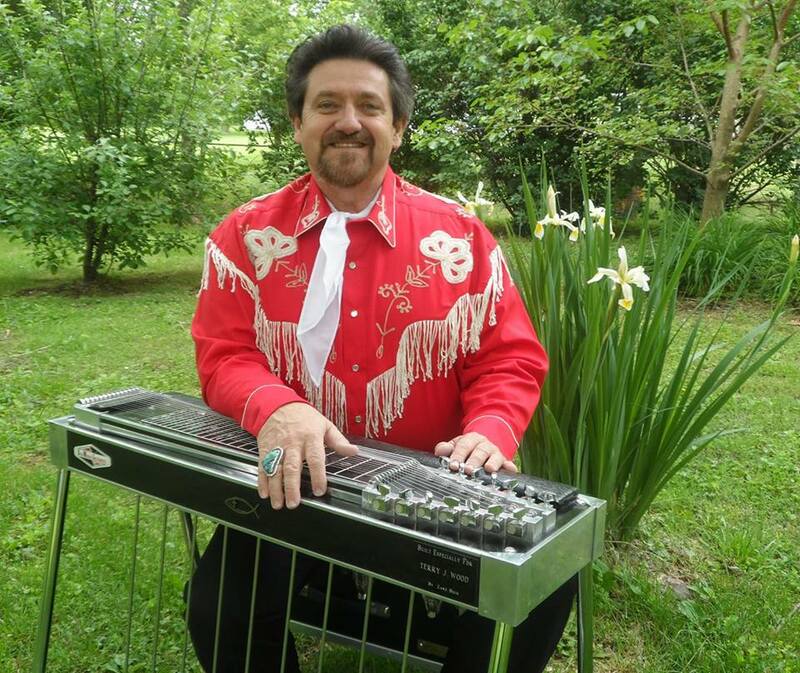 My early pedal steel player influences included Lloyd Green, Jimmy Day, Buddy Emmons, Curly Chalker, and others. Zane Beck was a Good Friend and he along with Julian Tharpe became close friends. I named my son Zane Wood after Zane Beck. He was a Great Guy and Steel Player and I miss Zane Beck alot! I am writing a book about all these people. It is a lengthy process. Probably another 2 or 3 years to complete it. 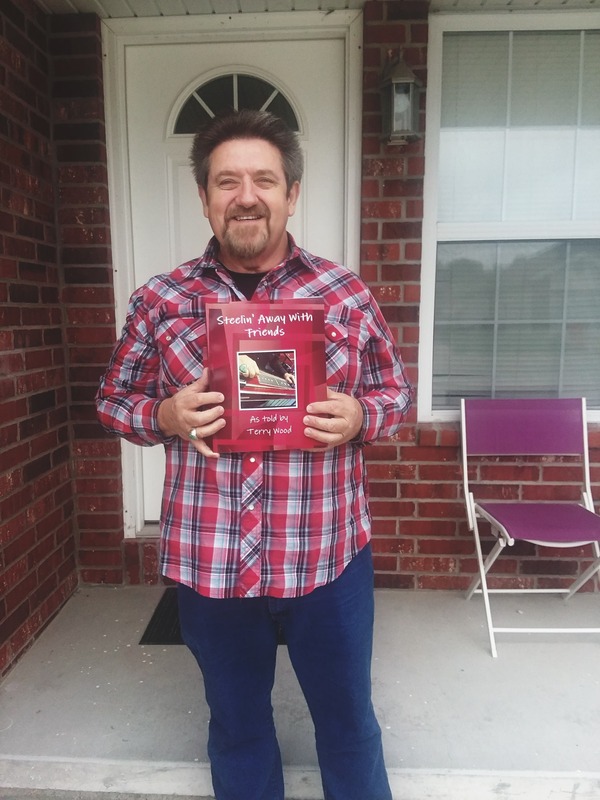 Want a Copy of Terry's book? Fill out the form below and you will be contacted about your order request.